If you fish at all you are familiar with this one . 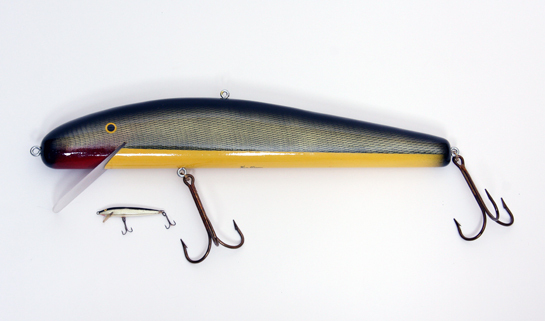 Probably the first artificial lure I ever used was a version of this minnow. A good lure for anything that swims and the most inexpensive of my lure sculptures It is modeled after the small Rapala Floating Minnow.